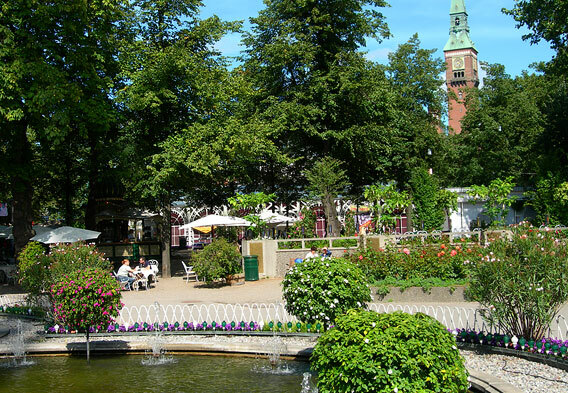 Tivoli Gardens is the second oldest amusement park and pleasure garden in the world. The oldest is also in Denmark in nearby Klampenborg; Bakken was opened in 1583, and is the second most visited attraction in the country, after Tivoli. In 1913, the Little Mermaid statue that graces Copenhagen's harbor was gifted to the city by Carl Jacobsen who owned Carlsberg Breweries. Today, this fairy tale figure is one of the iconic landmarks of the city. John Norcross, an English pirate with grand plans to kidnap the young crown prince (who would later become King Christian VI) was the imprisoned in Kastellet for a total of 32 years. Sixteen of those years were spent in a wooden cage. 40% of the residents of Copenhagen use their bicycles every day. Most of the larger roads have dedicated bicycle paths, and cyclists can often ride in both directions on one-ways streets. Copenhagen Denmark is the country's capital and largest city, and is filled with museums, attractions, and structures from the Medieval and Renaissance eras. The city is located on the eastern shore of Zealand Island, the country's largest island, as well as over a number of other islands in the Sundet, one of the three Danish straits separating Denmark from Sweden. Because of its maritime location, the city is a major port for ferries and Scandinavian cruises. Copenhagen is known for several of its historical attractions. One of the best-known is the landmark Round Tower was built in 1642 by King Christian IV (the virtual tour above features the view from the top of the tower). It was built as an observatory and remains the oldest functional observatory in all of Europe. 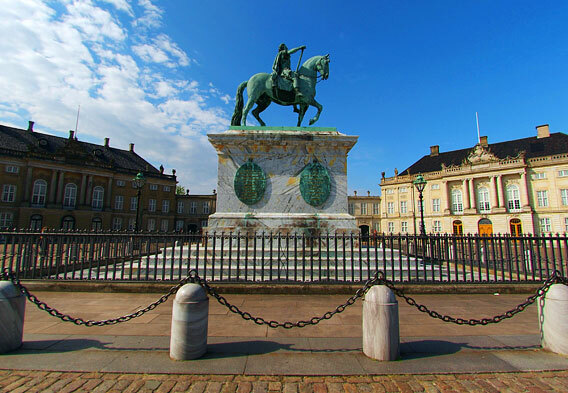 Numerous architectural gems were added to the cityscape after this, including Amalienborg Palace, which today is the residence of the royal family. West of the city is Roskilde Cathedral, dating to 1170 and located in the municipality that was once the country's capital. It is considered the most important medieval structure in the metropolitan area. For an even loftier view than from the Round Tower, you can head to the working-class district of Christianshavn (an artificial island) to ascend the Church of Our Savior spire via an external circular staircase. At the summit, try to touch the crowning globe more than 300 feet above the city. Copenhagen is also famous for its modern architecture designed by some of the world's finest modern architects, including Jorn Utzon who designed the Sydney Opera House. This amusement park and garden is another of Copenhagen's architectural gems. It opened in 1843 and once boasted the world's tallest carousel. Today, there are many rides, including elaborate roller coasters and tamer rides, too. Several lakes and ponds are available for boating, and are lined with shaded lawns and gardens for picnics. There are also a number of concert and performing arts venues, and one of northern Europe's most important jazz festivals occurs here each year. The architecture is in the exotic Oriental style popular in the mid-19th century, and includes an opulent Moorish palace. The park also has hotels and dining options. Tivoli is located in the heart of the city. The beautiful Dutch Renaissance Rosenborg Castle was built in 1606 and is located in the center of Copenhagen. It was designed as a summer vacation home for King Christian IV, and set in a park called the King's Garden. The home was expanded from 1613 to 1738, when it reached its current proportions. 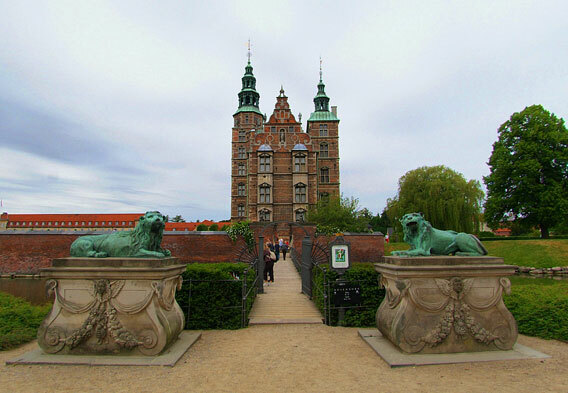 Since 1838, the castle has been open to the public as one of the city's museums, and displays an extensive collection of artifacts of Royal Danish life. The most important artifacts on display are the Crown Jewels and Danish Crown Regalia. There are coronation chairs, paintings, jewel encrusted swords and scabbards, ornate chalices, and many other treasures. A visit during the spring is particularly rewarding, as the surrounding gardens are awash in spring blossoms. Over the centuries, Copenhagen was often invaded, bombarded, and under siege. Entrenchments for the Kastellet (Citadel) were begun in 1626, and the final fortification was completed in 1626. The pentagram citadel is one of the best preserved such fortifications in northern Europe. Bastions and grand gates anchor each point of the pentagram, and moats and concentric walls spread outward. During sieges, the fort was designed to be almost completely self-sufficient for long periods of time. Thus, there are buildings for everyday life as well as military structures. There is a baroque church, an extensive prison complex, a grain mill, a blacksmith, and even a windmill to produce water for crops and for drinking. The fort was last taken by invaders in April of 1940 when German troops landed in the harbor.